Horizontal lines are a great way to break up sections of a document. 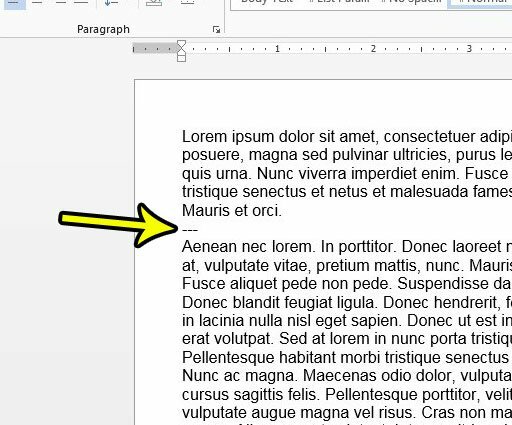 You have probably seen others use this object to great effect, and you now find yourself editing a document where those horizontal lines would be helpful. Perhaps you have determined that a line full of underscore characters is the best way to create the horizontal line, but Word actually gives you a couple of other options. 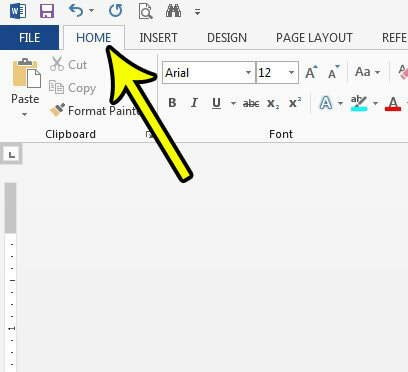 Out guide below will show you how to add a horizontal line in Word using both a button in the ribbon and a keyboard shortcut. You can then use whichever of those options you find to be the most convenient. 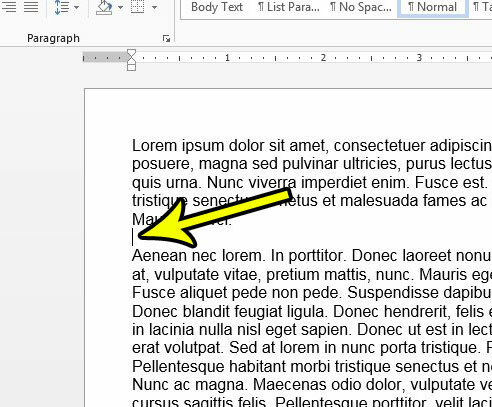 The steps in this guide will show you how to add a horizontal line to your document. This line will run from the left margin to the right margin. You can add the line through the ribbon, or by entering a specific string of characters. We will show you both methods below. 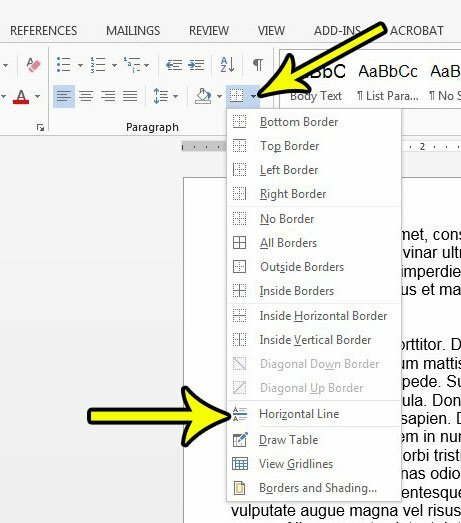 Step 2: Place your cursor at the point in the document where you wish to add the horizontal line. Step 4: Click the arrow to the right of the Borders button, then click the Horizontal Line option. As mentioned earlier, this is an alternate way to do this, which we will show below. 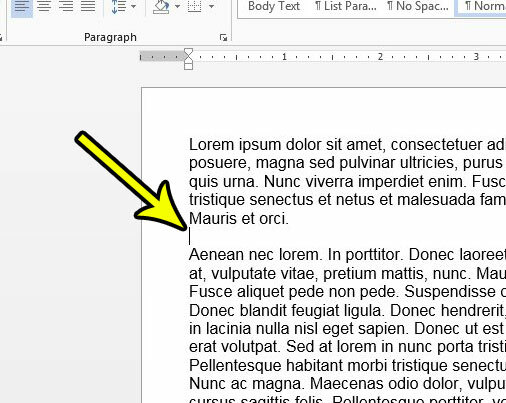 Step 1: Place your cursor at the point in the document where you want to add the line. Step 2: Type three “-” characters in a row, then press the Enter key on your keyboard. So you should be typing “—” like is shown in the image below. Do you have a document that contains sensitive information and you need to send it to someone else? Learn how to restrict that document so that no one is able to edit it unless you give them a password. Why is Excel Showing My Formulas Instead of Their Results?